Bio: Roger Morris is Professor of Molecular Neurobiology at King's College London. After completing his PhD from the University of Oxford in 2005, and a postdoctoral Jane Coffin Childs Fellowship at the University of Connecticut Health Centre, he took up a scientific staff position in the Laboratory of Neurobiology at the MRC National Institute for Medical Research in London (1978-95). He moved to Guy’s Hospital Medical School in 1995, which merged with King’s College London in 1998. Within King’s, he became Professor of Molecular Neurobiology in 2001, Head of Department of Biochemistry in 2005, then in 2007, Head of School of Biomedical Sciences (in US terms, Dean of Faculty) over a period of major change to integrate the multiple institutions that had been merged with King’s, into a single Faculty. Roger seized the opportunity to upgrade biomolecular imaging at both fluorescent and electron microscopic levels to make King’s, in partnership with instrument manufacturers JEOL and Nikon, an emerging international leader in both areas. 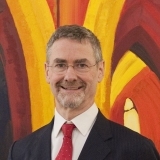 He oversaw a doubling in research income while modernising and simplifying undergraduate and postgraduate education, secured the first UK Research Council (BBSRC) funding for a Doctoral Training Centre at King’s which has expanded to include University College London and other London universities in one of the BBSRC’s major PhD training centres. He opened up the experimental animal facilities to the press, politicians and public groups (including the redoubtable Women’s Institute) to enable all to see what is actually involved in UK biomedical research. He served on the MRC Neuroscience and Mental Health Board, the BBSRC BSEP group and DEFRA TSE Research Advisory Group. Roger’s willingness to speak to the press, and allow the press unrestricted access to the experimental animal houses, starting at a stage when few others in the UK would do either, set a pattern that was increasingly adopted by other universities, leading in 2014 to a Concordat on Openness in Animal Research in the UK to which 97 companies, universities and research institutes have signed. King’s was awarded the 2015 Prize for Media Engagement in Openness in Animal Research. Another enduring achievement is that King’s closed its Chemistry Department (founded in 1829, one of the world’s oldest) in 2003, due to declining student numbers. Roger played a key role in relaunching King’s Chemistry Department in 2012. Both the Department and its courses are growing robustly and adding a missing dimension to King’s research and education. Roger has published over 70 scientific papers, which have been cited more than 5,000 times to give him an H index of 40. He is interviewed regularly on the implications of research in neurodegeneration, and reviews grants and papers internationally on this subject. He is a Fellow of the Royal Society of Arts and the Royal Society of Biology, which expand the range of issues in which he engages. He looks forward to networking and sharing his knowledge. Typical Day: Roger’s day (and weekends) is mainly taken up with using his experience to get the Chemistry Dept established, from advising new staff on writing grant applications and productively combining their teaching and research; to bringing ‘biology’ into ‘chemical biology’ in research and teaching; to delivering a range of lectures and a Molecular Biology for Chemists practical course; and to establish functioning instruments of management for staff and students. Currently his work within the Chemistry Dept is all-engaging; with growing staff numbers and experience, this will lessen considerably over the next few years. Enquiries from the press continue to press occur, most recently for a Russian TV programme on dementia. Fortunately many more scientists in the UK (admirably marshalled by the Science Media Centre) are willing to provide expert comment on most issues, so lowering the time required from any one person. Reviewing of grants and papers continues but not the daily rate of 2000-12. All of which leads Roger to hope that he will have more time to engage again in wider issues.